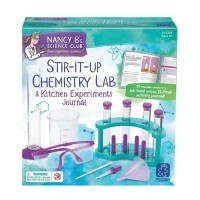 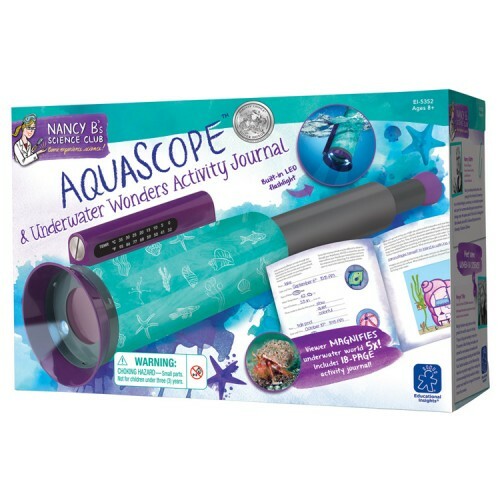 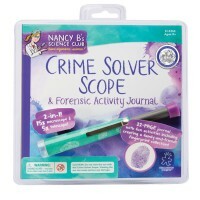 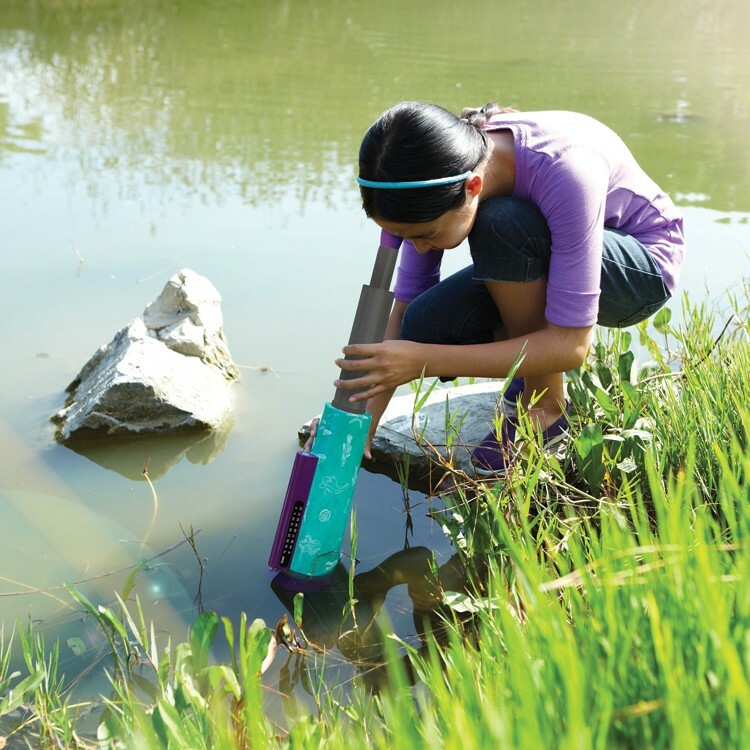 This underwater AquaScope science toy comes with the activity journal making it a unique and creative natural science activity set. 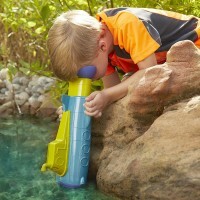 With this cool science seascope set kids do not get wet to learn about life under the water. 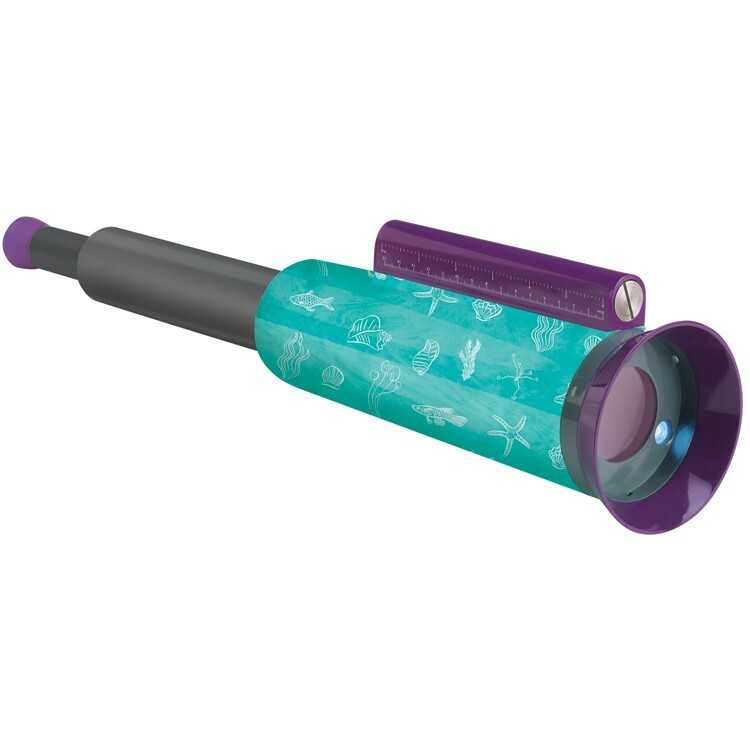 Get super cool in- and out-of-the-water vision with this Nancy B. 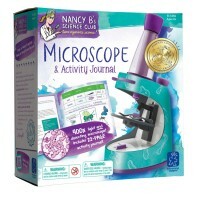 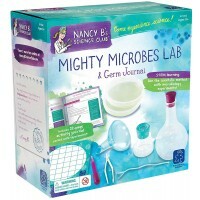 's Science Club kit. 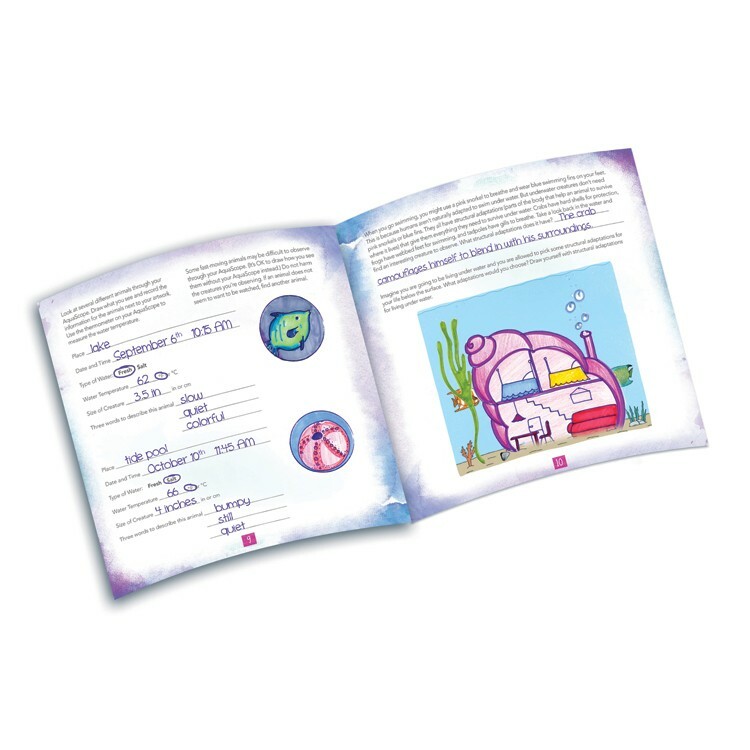 AquaScope & Underwater Activity Journal Science Set is a terrific science gift to inspire kids explore nature, microbiology, and the shore ecosystem. 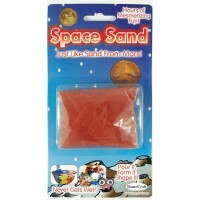 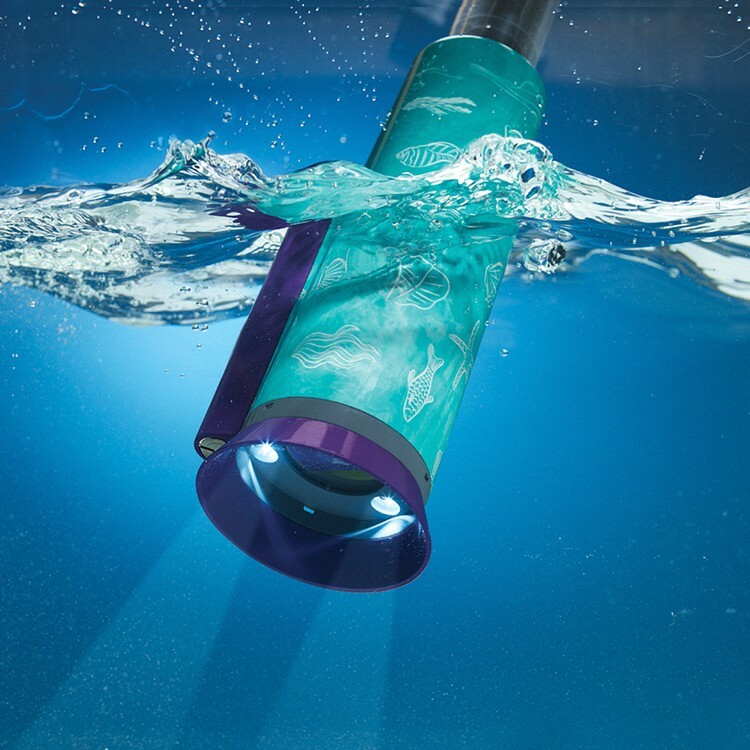 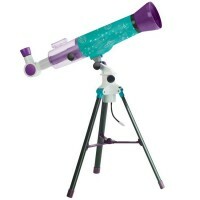 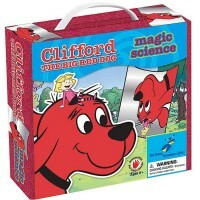 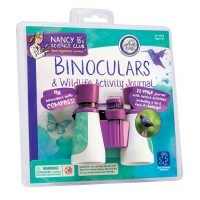 This natural science toy includes 5x magnifying underwater telescope with built-in LED lights. 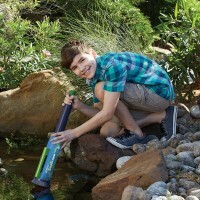 The AquaScope & Underwater Activity Journal Science Set features the attached thermometer strip to gauge and record the water temperature. 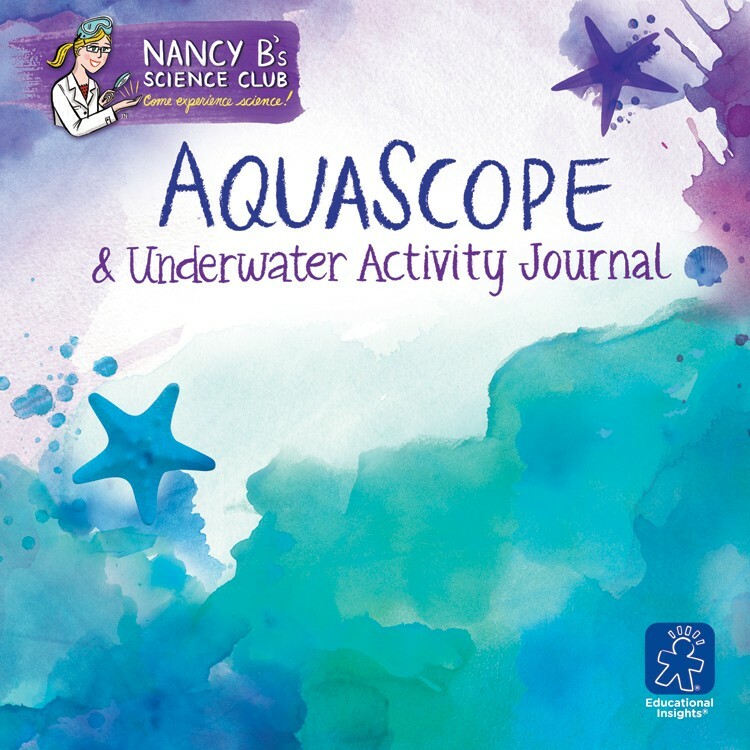 AquaScope & Underwater Activity Journal Science Set comes complete with 18-page activity journal that is full of fun science projects, data collection, observations, drawing, creative writing ideas, water related science challenges and more. 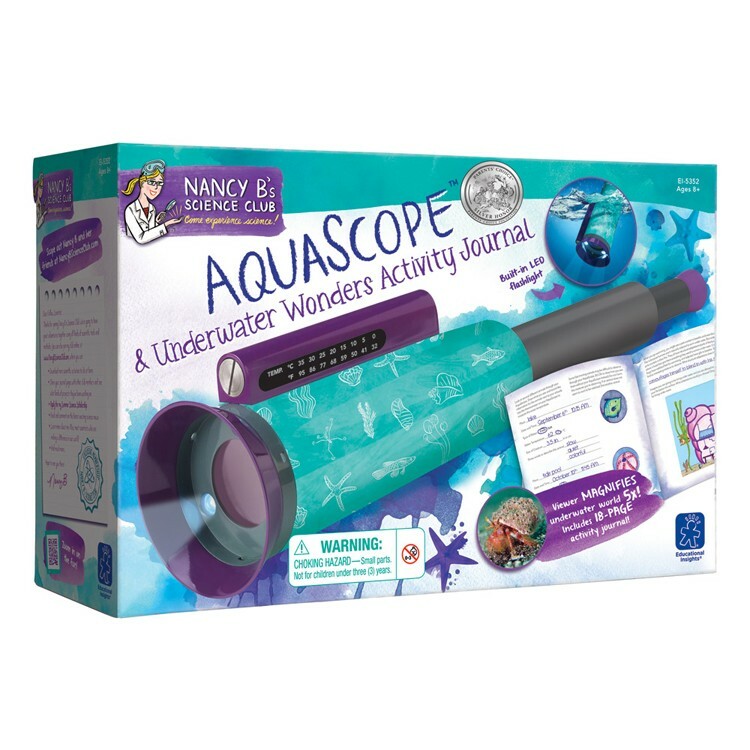 The underwater scope from Educational Toys Planet requires 3 AAA batteries (not included). 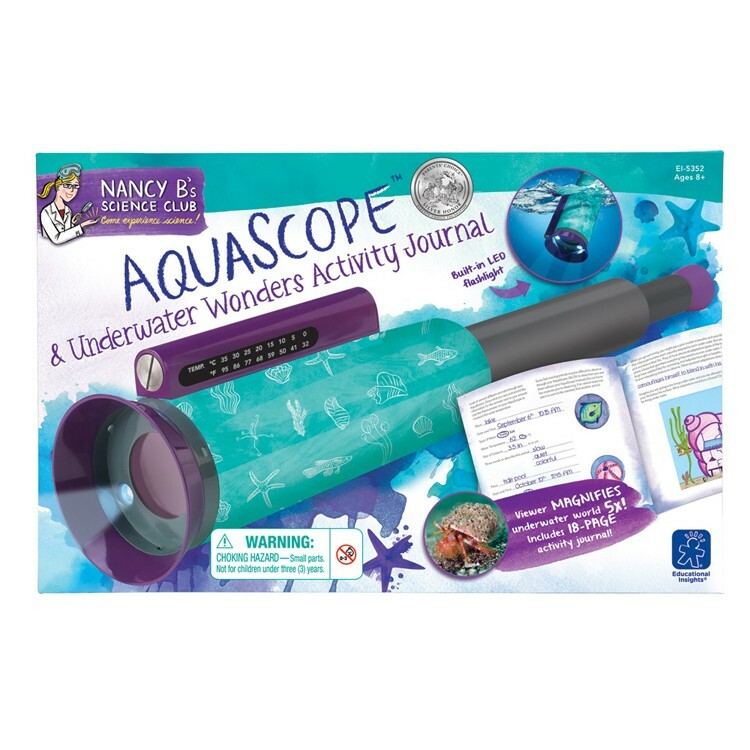 Dimensions of package 9" x 14" x 5"
Write your own review of AquaScope & Underwater Activity Journal Science Set.